A drug to treat autism? After joining a clinical trial at Boston Children’s Hospital, Katie Mills started to speak in complete sentences for the first time. 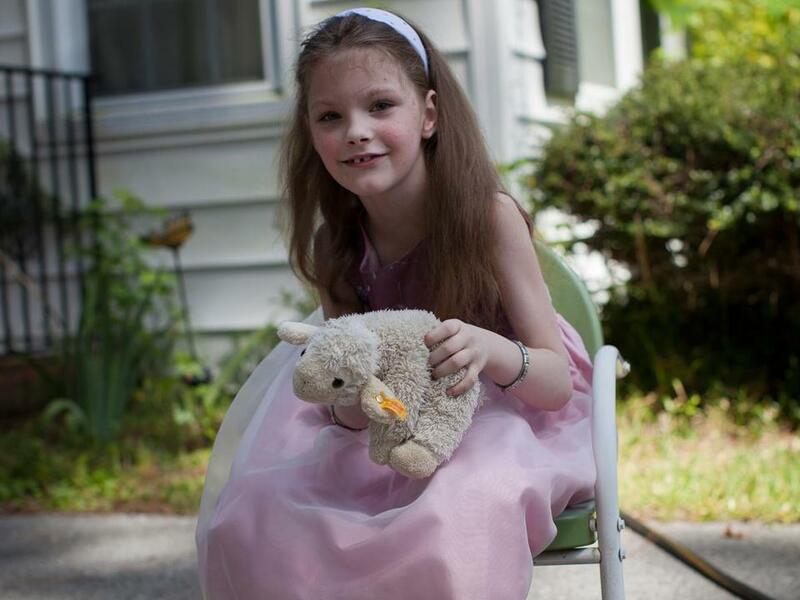 After joining a clinical trial at Boston Children’s Hospital, Katie started to speak in complete sentences for the first time, her 30-second attention span extended into minutes, and she was finally able to retain information from one day to the next, said her mother, Susan Mills. The study, testing an old drug on children with a rare genetic condition called tuberous sclerosis complex, is drawing attention because the disease often — as in Katie’s case — leads to autism. Up to half the people with tuberous sclerosis develop autism, and the hope is that any treatment that works well against tuberous sclerosis might also benefit others on the autism spectrum. Tuberous sclerosis is caused by one of several mutations in genes that regulate cell growth throughout the body. A number of trial participants have reported dramatic gains such as Katie’s, while others haven’t noticed much of a difference. Families, though, won’t know until the trial is over at the end of next year whether they received the drug or an inactive placebo. So for now, there’s no evidence that giving the drug to tuberous sclerosis patients or people with autism is beneficial. At the very least, doctors hope that by researching the rarer condition — which strikes about 1 in 6,000 newborns and spurs the growth of benign tumors — they will gain insights into autism. The government estimates that autism affects 1 in 50 children, causing social and communication problems and repetitive behaviors. Riley Vogel also made mental advances during the trial, her mother said. Autism advocates are cautiously optimistic that the medication Sahin’s team is testing will be that common drug. “I keep my fingers crossed,” said Daniel Smith, senior director of discovery neuroscience at the research and advocacy organization Autism Speaks, which helped fund the research. In the study, 50 children with tuberous sclerosis are taking everolimus, a drug similar to rapamycin — used for decades to prevent rejection of transplanted organs — or a placebo for six months. The goal is to combat symptoms of the disease. Roughly one-third of tuberous sclerosis patients develop epilepsy, particularly in early childhood, so researchers also hope to learn more about that condition, Sahin said. Melanie Vogel of Danvers is pretty sure her daughter Riley, 6, was getting the real medication. Vogel signed Riley up for the trial after what she sarcastically describes as last year’s Christmas present: the discovery of four brain tumors, including one at the top of Riley’s spinal cord. That tumor shrunk from 10 to 7 millimeters, Vogel said, but it resumed growing after she finished the trial and is bigger than ever, according to a recent MRI scan. Now, Melanie and her husband, Kevin , wake up every morning not knowing whether this will be the day Riley will be struck with a horrible headache, double vision, or vomiting — signs that the tumor has begun to choke off her spinal cord. If that happens, she will be rushed into emergency brain surgery at Children’s. 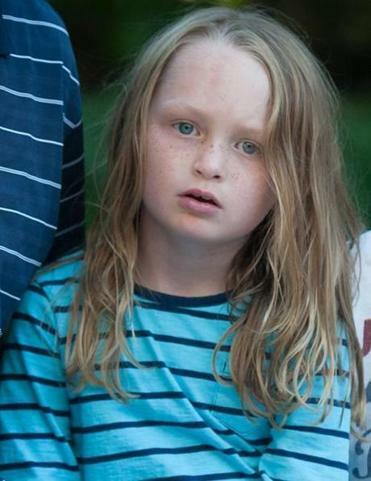 Riley doesn’t have autism, but her mother said the sprightly girl also made mental advances during the trial: Her brain fog seemed to lift, and she was speaking in more complete sentences and cracking jokes for the first time. “She blossomed,” said Melanie Vogel, who has a high-powered job at Oracle and organizes an annual fund-raiser for tuberous sclerosis called Rock 4 Riley. Still, Vogel isn’t sure she wants Riley on rapamycin long-term because the side effects are unknown. The changes 12-year-old Tom Koprowski experienced were more subtle than the girls’, though his mother, Kim, thinks he, too, was getting the real drug, not sugar pills. When Tom, of Bethlehem, N.H., was diagnosed three or four years ago with Asperger’s, a condition on the mild end of the autism spectrum, his doctor realized that his early childhood epilepsy and the Asperger’s might be signs of tuberous sclerosis. Three tumors found in his brain clinched the diagnosis. Koprowski said Tom benefited more obviously from medications he takes to treat his attention deficit hyperactivity disorder, though his sixth-grade year, while he was in the clinical trial, was his best yet. He nearly caught up to his grade level in school, thanks at least in part to a great teacher. Now in the first days of seventh grade, Tom still struggles socially, often misinterpreting other people’s words and intentions, Koprowski said. But the boy is also developing a sense of humor and loves soccer, puzzles, Pokemon, and anything technological. “His wiring may be a little different, but in a lot of ways it’s a gift, too,” said his mother, who traded her career as a veterinarian to teach special education so she’d have more time with Tom. All three mothers said they participated in the trial to help others who are worse off than their children. They had to make eight to nine trips into Boston during the trial, for MRIs, blood draws, and psychological and other tests. “Anything we can do to help her or other children in her situation, we’re more than willing to do what it takes,” said Susan Mills who, along with her husband, Doug, knew Katie had tuberous sclerosis before they adopted her as a toddler. The disease is caused by genetic mutations that affect cell growth, and scientists don’t fully understand why it so often triggers autism. But mice with the tuberous sclerosis gene mutations behaved more normally and their tumors shrunk when they were given rapamycin, said Steve Roberds, chief scientific officer for the Tuberous Sclerosis Alliance, which also helped fund the trial. Rapamycin is also used to treat several types of kidney and breast cancer, and it’s being explored against Alzheimer’s, Parkinson’s, and heart disease, and aging more generally. Matt Kaeberlein, who studies rapamycin at the University of Washington, said he was initially surprised to learn the drug was being studied as a treatment for autism — not only diseases related to aging. Either way, Susan Mills is convinced that the rapamycin-like drug was responsible for Katie’s gains during the trial, and believes that Katie has been slowly losing ground this summer since her time in the study ended. “We’re back to having to really struggle with things,” Mills said. She’s asked Sahin to help her get the drug for Katie. Karen Weintraub can be reached at Karen@KarenWeintraub.com or on Twitter @kweintraub. Correction: Because of a reporting error, an earlier version of this story incorrectly described the drug being studied. It is Novartis Oncology’s everolimus, which is similar to rapamycin.